short, topical math units sold at TPT and Teachers Notebook. 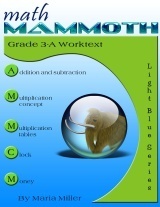 This series is called Math Mammoth Light Blue Series, and it is aligned to the Common Core. These books are available both in downloadable and printed form. Read general information here. Math Mammoth Light Blue series is known for its emphasis on mental math, conceptual approach, and the nearly self-teaching format that includes both explanations and exercises. You will get 33% discount if you purchase all available grade levels as a download. The free worksheets are available for grade 1, grade 2, grade 3, grade 4, grade 5, grade 6, and grade 7. These pages provide free worksheets for hundreds of math topics, following the common core standards, from addition, subtraction, number charts, and place value to area, fractions, decimals, factoring, linear equations, and so on. Each worksheet is generated randomly, and thus you get a different one each time! These units are sold at affordable prices (starting from $1 up) TeachersPayTeachers (digital versions) and at Amazon (printed versions). 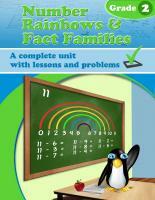 The topics include fact families, measuring, geometry, multiplication, division, and more. The content for these is taken from the Math Mammoth materials at this site but is broken down into shorter units for teachers' usage. All of the units provide Common Core alignment (inside the document).